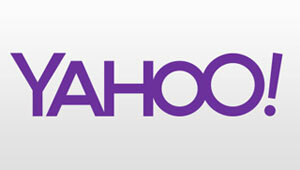 Our Creative Director, Brandon Stuart was quoted in E-Commerce Times talking about Yahoo’s new logo strategy. Yahoo has launched a holiday calendar type of rebranding campaign: Every day there’s a different Yahoo logo to surprise and delight. After 30 possibilities have emerged, the company will raise the curtain on its real new look. The idea has been met with a certain amount of ridicule, but this may be a case of there being no such thing as bad publicity. It’s only Day 2, and people are talking. Yahoo’s 20-year-old logo is set to change next month with the unveiling of a new graphic “that’s more reflective of our reimagined design and new experiences,” said Chief Marketing Officer Kathy Savitt. Wednesday marked Day 1 of a rebranding campaign that will treat users to a new look every day, leaving them guessing as to whether it will ultimately be the chosen one. “It’s our way of having some fun while honoring the legacy of our present logo,” Savitt said. The offering for Day 1 is a streamlined version of the old logo, in Yahoo’s distinctive purple hue and complete with its exclamation mark. Day 2’s logo is in a more playful script style. Presumably the images will become more exotic as the days roll on, generating discussion about what each could suggest about Yahoo’s direction. At least, that is likely what Yahoo is hoping. This campaign is more than an exercise to get users comfortable with the coming change. It is also meant to reinforce the idea that the Yahoo that is now under Marissa Mayer’s stewardship is not your father’s Yahoo. On paper, at least, it is a smart strategy. The campaign positions Yahoo — and Mayer’s regime — as nimble, which is a trait that appeals to today’s digital consumer, said Brandon Stuart, creative director of Fanscape. That is the advantage to the approach, he said — but it is not without risks. Concern over wishy-washiness may be just the tip of the iceberg. Other critics are less kind. The rebranding effort is “just a dumb idea,” said Mike Kelly, a partner in Brand Value Advisors. It’s “an idea that I might have expected from past Yahoo regimes, but not this one,” he told the E-Commerce Times. “Why not just keep it simple, reveal the new logo and be done with it? As evidenced by their continued ad sales woes, consumers currently don’t care enough about the Yahoo brand to visit the site — much less play along with this late-summer parlor trick,” he said. This theme — that consumers don’t care about logos — is likely anathema to marketers, but there is something in it that must be explored. It would be different it this were a beloved brand like Starbucks, David Cohen, principal of Seer Interactive, told the E-Commerce Times. “People have an emotional and financial connection to brands like Starbucks. That’s not really the case with Yahoo,” he maintained. The only people who seem to be talking about Yahoo’s logo and rebranding campaign, said Cohen, are people in the tech and digital marketing industries.